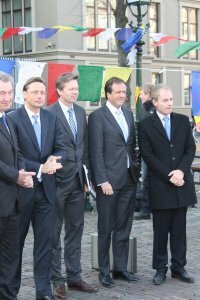 On November 16 2011, the Foreign Affairs Committee of Dutch Parliament held a general meeting concerning China and Dutch-Chinese relations. As part of its Dutch lobbying program, UNPO engaged in advocacy through multiple outlets in advance of this meeting in an effort to ensure that the issues of UNPO Members in China would be raised. 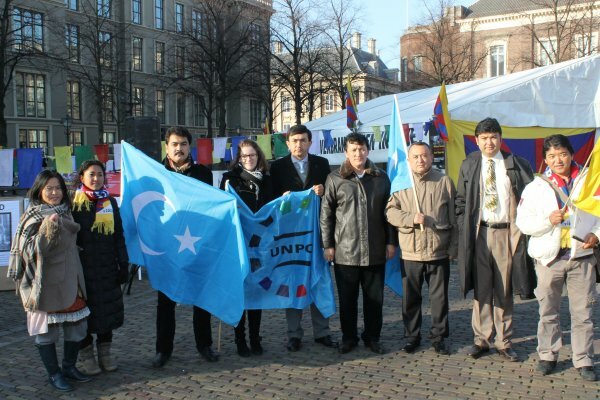 One of the issues UNPO raised in advance of the meeting was that of Uyghur asylum-seekers in the Netherlands. Dutch authorities have been placing significant pressure to “voluntarily” return to China on several Uyghurs who have been denied asylum multiple times by Dutch courts. A report by Uyghur Human Rights Project titled ‘They Can’t Send me Back: Uyghur Asylum Seekers in Europe,’ shows that the Netherlands is one of the few European countries in which Uyghur asylum seekers are facing a forced return to China. UNPO firmly condemns this policy, given that Uyghurs in China face not only political, economic and social oppression, but also torture, arbitrary arrests, intimidation and persecution. Those who have sought asylum outside of China are at particular risk of abuse once they are returned, and for this reason it is widely recognized that sending Uyghurs back to China puts them at grave risk. In an effort to draw greater attention to these concerns, UNPO sent a letter to the attending Members of Parliament, asking them to raise the issues of human rights and minority rights, and especially the case of Uyghur asylum seekers in the Netherlands, in their individual comments and questions to the Minister of Foreign Affairs. The letter served as an urgent appeal to Dutch Government to acknowledge the severity of oppression and human rights violations in China and the danger Uyghurs are in upon return. Representatives of Tibet, a founding UNPO Member, also undertook significant action surrounding this important discussion. 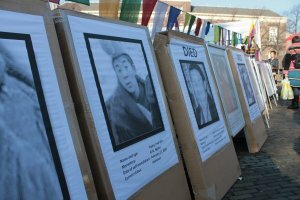 The International Campaign for Tibet organized a demonstration in front of the Dutch Parliament to coincide with the general meeting. A group of Tibetans and sympathizers went on a one-day hunger strike to remember the monks and nuns that recently set themselves aflame in response to the desperate situation of violent cultural and religious repression in Tibet. Under the banner ‘Minister Rosenthal, take action! Give Tibet hope!,’ the group made the urgent appeal to the Minister to  publicly voice his concerns,  pressure the Chinese government to stop the persecution, arbitrary arrests and imprisonment and retreat the troops from Ngaba county,  pressure China to start the dialogue with the Dalai Lama for true autonomy for Tibet. 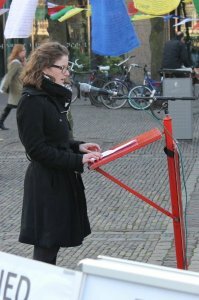 UNPO Programme Coordinator Lisa Thomas delivered a statement at this event calling upon the Dutch government to join other European governments in publicly calling for an end to human rights abuses in China. UNPO also attended the Parliamentary meeting as an observer, and was pleased to find that human rights were indeed high on the agenda of the meeting - the call to take the human rights situation into account in all Dutch-Chinese relations was made by almost every MP. Special attention was given to freedom of religion and freedom of speech of minority groups, including the Uyghurs and Tibetans. The issue of Tibet was particularly prominent during the general meeting, with several MPs urging Dutch Foreign Minister Uri Rosenthal to give out a public statement to express concern, in line with the United States, Germany and the European Parliament, and to put pressure on China to allow the Dutch Human Rights ambassador access to Tibet and Xinjiang. Rosenthal’s response was positive; he voiced his concerns regarding China’s human rights and minority policy and he agreed to push for access to the areas. Rosenthal further pointed out the importance of a firm European stance on the issues and promised to put religious freedom on the agenda in Brussels.